InterManager president says sulphur cap 'will pose a serious challenge' to human health. Ship managers gathered in London this week for the annual general meeting (AGM) of their industry trade body, InterManager, where they discussed plans to work together to identify solutions to the challenges facing today's ship management sector. 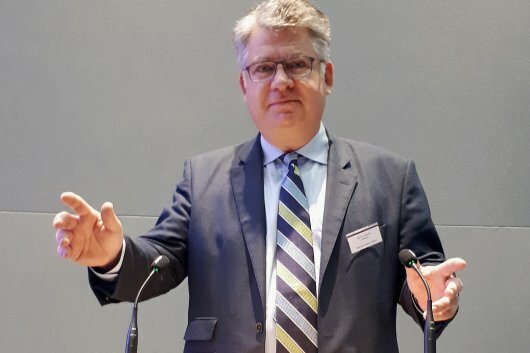 Addressing the AGM gathering at the London offices of Willis Towers Watson, InterManager President Bjorn Jebsen discussed the implementation of the 0.5 percent global cap on fuel sulphur content in 2020, and noted that ship managers were "concerned" about the potential impact the new regulation could have on vessel operation and crew safety. "We appreciate that 2020 will pose a serious challenge on many levels, not just in terms of the environment and economic measures but also in relation to human health," he said. "We must ensure we approach matters carefully, doing our homework and considering all angles." Jebsen added: "Going forward, InterManager members will pool resources and share experience to seek solutions and identify best practices to meet the challenges our sector faces and identify innovative and successful solutions. "I encourage our members to cooperate closely and exchange ideas to ensure we support each other as we embark on this voyage towards tomorrow's shipping industry." Jebsen noted that InterManager was proud to be a non-governmental organisation with the International Maritime Organisation (IMO) and attends meetings on behalf of its membership and the wider ship management sector. At the conclusion of the AGM the Executive Committee re-elected Jebsen to serve as President of InterManager for a further two years.